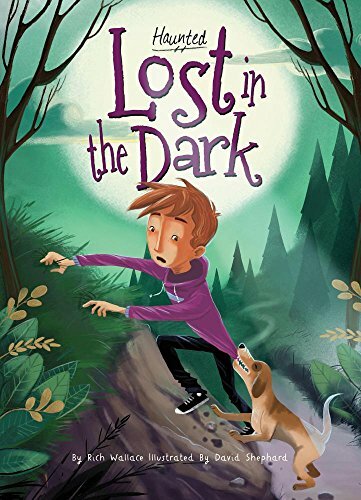 When Stu gets lost in the woods just as night closes in, he know he should just sit still and wait for morning because there is a flooded quarry nearby--but when he hears a boy calling for help he follows the sound, ignoring the dog that is trying to steer him in the opposite direction. Stu gets lost in the woods as night is falling. He knows he's near a quarry where a teenager and his dog had fallen and drowned years before. A dog appears and clearly wants Stu to follow him. Stu starts to follow the dog, but he hears a voice calling the dog. Stu yells to the voice and heads toward it. The voice keeps calling for the dog, and Stu is getting closer to it. Then he hears the voice screaming in fear. He finds himself on the edge of the quarry and hears a splash below. The dog leaps over the edge to save the teen. After another splash there are no more sounds.